I don't know where Bethany House publishers is finding all of these fabulous debut authors, but I say keep them coming! 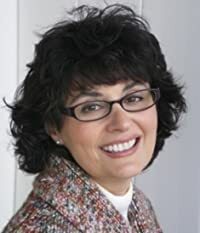 Lisa Norato joins the rank of the likes of debut author Regina Jennings (author of the recently released book 60 Acres and a Bride) in providing an entertaining and worthy first offering with Prize of My Heart. The novel captured my interest from the first chapter, when I found myself chuckling at the re-enactment of David and Goliath, while also pondering the secrecy and lies and deceit that are prominent in the story. As a father myself, I can only imagine the heart-ache of a man like Brogan, searching for his lost son and trying to do everything possible to be reunited. As the layers of secrecy were unveiled chapter by chapter, I found the book more and more difficult to put down, until I was racing towards the satisfying, if somewhat expected (or at least hoped for!) conclusion. Strong themes of forgiveness and redemption permeate the book, and are sure to have you pondering your own faith and relationship with God. I strongly recommend this book and grant it 4 out of 5 stars. Lisa Norato first discovered a love of writing when assigned to write and illustrate a children's book at the art college she attended. She also enjoys walks with her Yorkie-poo, the New England seacoast and changing seasons, good friends, Italian food, historical dramas, and British comedy. A lifelong New Englander, Lisa lives in a historic village with homes and churches dating as far back as the eighteenth century. Currently she works as a legal assistant in the corporate department of a Rhode Island law firm.